When people think about Jewish Diaspora communities, they probably think of Fiddler on the Roof style Jewish communities, inquisitions, and lynch mobs. They forget that the Jewish Diaspora was not one singular event, and that it sent people in every direction across the globe, and not just to Europe. Many went east—there were vibrant, ancient Jewish communities across the Middle East up until the mid-twentieth century. And some went further east, to China. There are many theories as to when and how Jews ended up in China. In my opinion, the most accurate theory is simply that some Jewish merchants followed the Silk Road as it rose to prominence in the third century CE, and ended up in China. Two others theorize that the Chinese Jewish consists of the descendants of either those who chose not to follow Ezra back to Judah at the end of the Babylonian Exile, or of the Jews who were expelled from Roman Judea after their failed first century CE revolt against Rome (the one chronicled by Josephus inThe War of the Jews). However, it is my view that the latter two theories are not mutually exclusive to the Silk Road theory. Either way, according to the records available to historians, the first Jews arrived in China during the Han Dynasty period between 206 and 220 CE. There aren’t many records of these people—a Muslim traveler, Abu Zayyd, reported that 120,000 people of Muslim, Jewish, and Christian faiths were killed in a massacre during a rebellion in Canton between 878 and 879—and it wasn’t until between 960 and 1280 that the Kaifeng Jewish community—generally know as the premiere Chinese Jewish community—was founded. 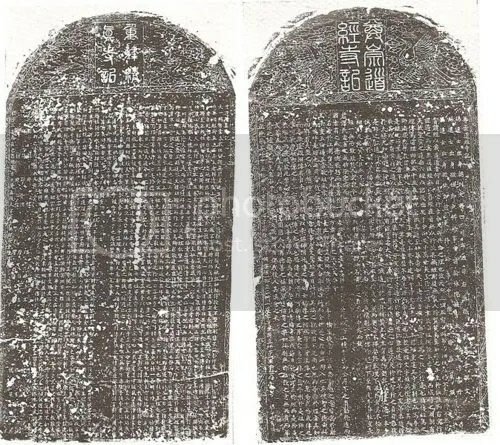 We have three primary sources from the Kaifeng Jewish community itself in the form of three inscribed tablets. 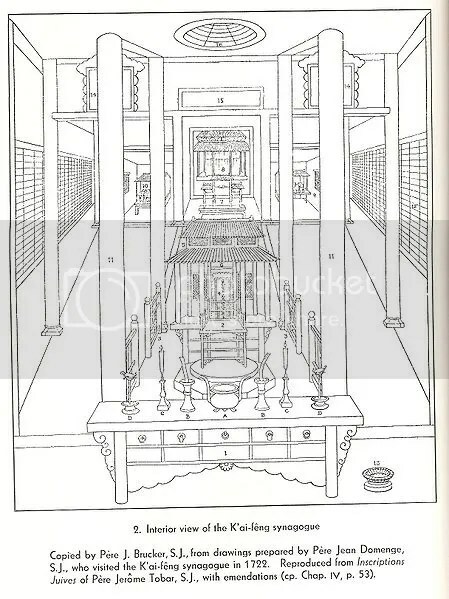 The oldest of the three dates back to 1489 and commemorates the 1163 construction of the Kaifeng synagogue. It states that the Jews came to China from India during the Han dynasty period—between 200 BCE and 200 CE—and received permission from the government to settle in the central Chinese town of Kaifeng. The inscription also lists the names of 70 members of the community, and discusses the transmission of their faith all the way from Adam to Ezra. The second tablet dates back to 1512, and lists the details of their daily religious practices. The third, from 1663, commemorates the rebuilding of the synagogue. Many of the inscriptions address the “boundless loyalty” of the Jewish community to the Chinese government. These inscriptions also show the development of a fascinating sort of syncretic faith in which the community attempted to reconcile Jewish beliefs with Confucian philosophy. The first outside documentation we have of this community is from the Jesuit missionary, Matteo Ricci. In 1605, Ricci met a man in Peking named Ai Tian. Tian saw an image of Ricci’s which depicted the Virgin Mary sitting with the baby Jesus, and believed it to be an image of Rebecca sitting with either Isaac or Esau. Tian then informed a rather surprised Ricci of the fact that there were many Jews in Kaifeng, and that they had a splendid synagogue. Ricci traveled with him to Kaifeng, and saw for himself a copy of the book known as the Pentateuch, that the people in the community practiced circumcision, and that they refused to eat pork. Ricci, of course, responded by trying to convert them all to Christianity, got all pompous at the rabbi about the messiah, and finally concluded that they were heathens. Typical. Over the centuries, the Kaifeng Jewish community became assimilated into Chinese culture, and has lost a lot of their sense of Jewish identity. Despite this, descendants of this community are still identifiable today. During the Ming Dynasty period, seven surnames—Ai, Shi, Gao, Jin, Li, Zhang*, and Zhao—were conferred upon the Kaifeng Jews, and all of these surnames may still be used to identify members of this community today (they are basically the Chinese Jewish equivalent of the Western “Berg-man-weis-owitz-stein” surnames). Many of them refuse to eat pig products, celebrate Chanukah, and remember being told by their parents or grandparents simply that they were Jewish and would “return to their land” some day. It is only in recent years that ties have been formed between the global Jewish community and the descendants of the Kaifeng community. In 1985, The Sino-Judaic Institute was founded in Palo Alto, California “for the purpose of promoting understanding between Chinese and Jewish peoples and to encourage and develop their cooperation in matters of mutual historic and cultural interest.” In 2009, a family of Kaifeng descendants emigrated to Israel, and their experiences have been documented by Dr. Noam Urbach in the upcoming documentary,Kaifeng, Jerusalem. 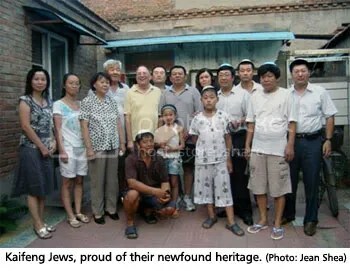 There is a bit of controversy from both the Jewish community and the Chinese community about whether the people known as the “Kaifeng Jews” were, in fact, Jewish. In my understanding, these controversies seem to be rooted in theological definitions of what a Jew is, and in post-modern scholarship. As I personally hold that post-modernism and theology are insufficient means by which to judge ethno-religious identity, and as I am not in the business of policing identities, I don’t set any store in said controversies. 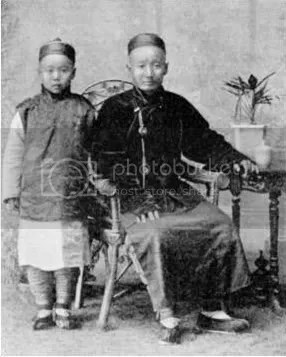 *By the beginning of the twentieth century, the Zhang clan had mostly converted to Islam. 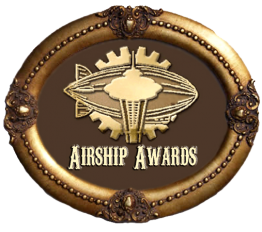 Historicity (Was Already Taken) is a young historian who is attending graduate school for History and Library Science with a focus in Archives and Records Management. Her Tumblr is where she talks about history, a lot (and occasionally mentions shoes).